You can read the rest of the apology and the action plan for the new sales days on Motorola's blog. Like a lot of online retailers, Motorola got swamped today as scores of eager consumers flocked to purchase discount hardware. The Moto Maker customization site was barely usable, so a lot of online shoppers didn't get access to the promised $150 discount on the off-contract Moto X. Motorola has decided to make it up to them by offering the same discount both Wednesday, December 4th, and next Monday, December 9th. Our Moto X Moto Maker offer will go live at 12 ET on Wed and again on Monday. We apologize for the inconvenience. Since the site is disabled at the time of writing (approximately 10PM Eastern), I'm going to assume that the rescheduled deals above will be offered, or at least attempted. If Motorola follows suit with the original promotion, that means that the Moto X will be sold at $349.99 for the customized 16GB model and $399.99 for the customized 32GB model, both without a contract and on all four major US carriers. There are no discounts for the on-contract models, though you can generally find them heavily discounted already. Like Google itself, Motorola doesn't have a great deal of experience selling phones directly to consumers, as the stumbles around the Moto X and DROID Maxx Developer Edition sales show. But at least they're trying to stand by the original promise, which is more than you can say for a lot of the Black Friday/Cyber Monday deals out there. 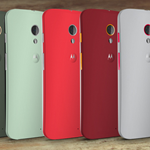 Naturally we'll alert you when the discounted Moto X models are available. Hopefully Motorola will have a larger stock of discounted devices. By the way, the Developer Editions of the Moto X (both GSM and Verizon) are both out of stock at the discounted price, but they probably will not be offered again.